GOUDA! 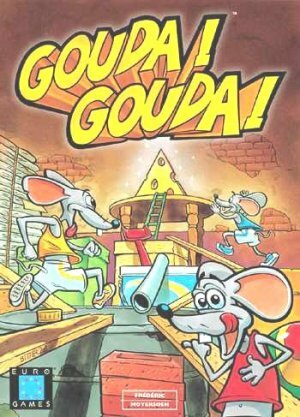 GOUDA! is the rallying cry of all mice. It means that the cheese has been spotted, and the race is on! To lead your team of five mice to victory, you must navigate a perilous path of pitfalls. Which way do you go? Roll the special dice; if you like the results, keep them. If you don't, inflict them on your adversaries. But beware, your opponents can do the same thing. The race to be first to the cheese is dangerous, but your team has no fear. They know that you will carefully use your special powers (you are no ordinary mouse!) to lead them to victory, and a belly full of cheese!